It measures 3cm x 2.5cm and is made of three layers of glass. 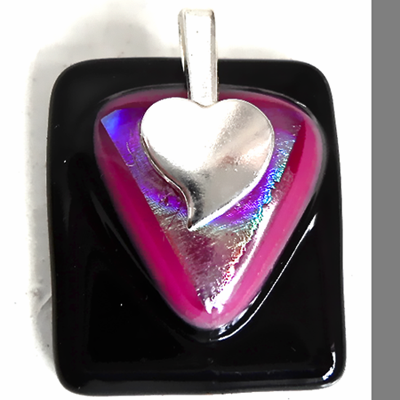 A Black layer then a layer of Dusky Pink topped with a layer of Rainbow coloured Dichroic glass. The plated silver heart shaped bail is 2cm x 1cm.